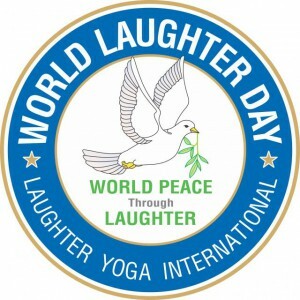 All are welcome to join Lady Ha Ha and friends from Laughter Yoga Wellness Club and Laughter Yoga Wellness Training Academy to celebrate World Laughter Day 2018 in London on Sunny Sunday 6th May 2018. 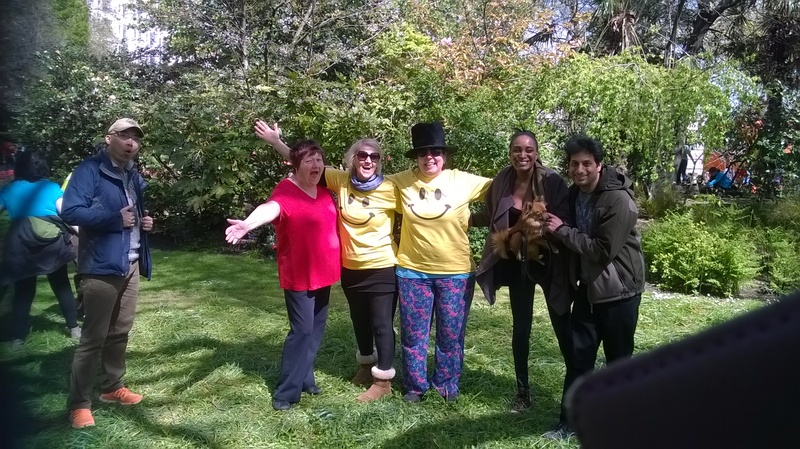 We will be out spreading Love, Peace and Joy with Laughter around London This is probably the biggest day in the Laughter Yoga Calendar so we will be joined by many laughter yoga leaders. We will most likely spread laughter on public transport as we go on a laughter flash mob crawl around the city visiting various places along the way. Please register your interest via https://wld-london.eventbrite.co.uk You will receive more information nearer the time. We had such an incredible day for World Laughter Day in London. 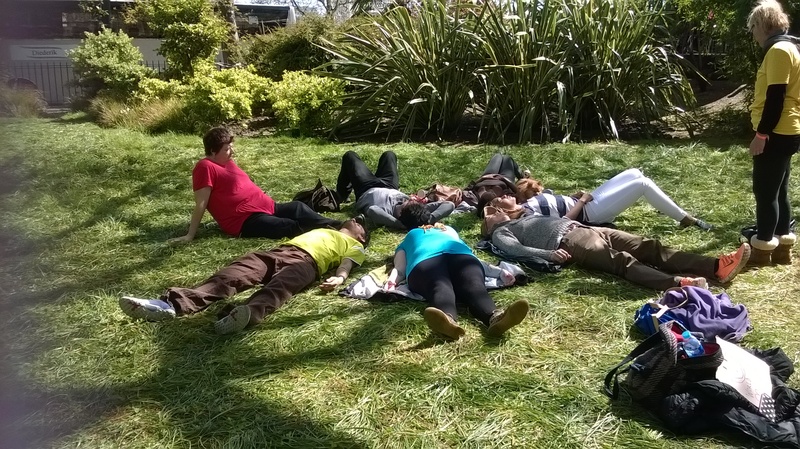 Our day started with an hour or so of Laughter Yoga in the park. 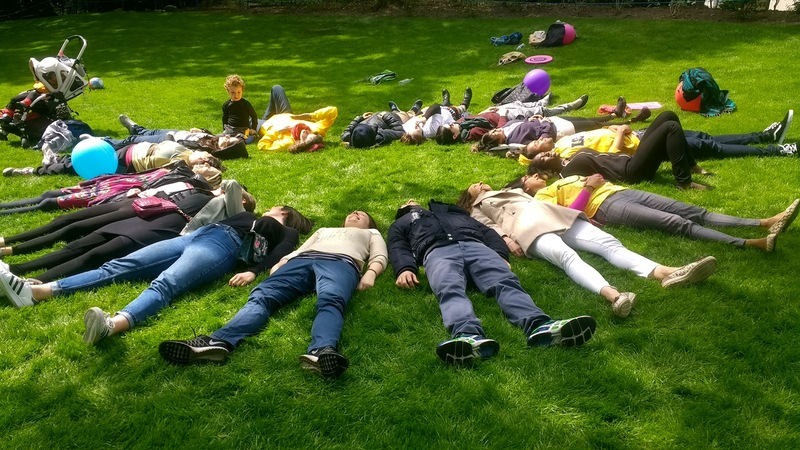 In the video you can see our laughter meditation in the very beautiful Victoria Embankment Gardens. It is fabulous with so many different types of laughs. I think the sun must have heard our laughter and then it popped out to join us Ha Ha. We then headed to Trafalgar Square for some more laughter. A lunch stop and then laughter on the Tube until we reached our final destination at Piccadilly Circus. A fabulous day with a lovely group of willing laughers, big ones and little ones. It was great to have a few toddlers in the group. Until next year, when we will do it again. A few more snap shots from the fabulous day. We run regular laughter wellbeing workshops for members of the public in London on Saturday morning. Usually an hour and a half of rib tickling feel good laughter fun, often followed by an optional social. Contact us for private group bookings for your employee wellbeing or event. 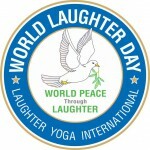 We are already preparing for World Laughter Day in London with a fabulous Laughter Crawl and Flash Mob planned. We will be meeting in a Central London location and delivering smiles and laughter along the way with the message of World Peace to those we meet. We will be laughing on public transport, tube laughter 🙂 and visiting various locations in London. Free to join us and open to everyone. We will be joined by members of our London Laughter Club, other Laughter Yogis and members of the public. All that is required is a willingness to join us in spreading Laughter, the message of Peace and Joy. World Laughter Day takes place on the first Sunday of May. This year it falls on 7th May. The first celebration was in India almost 20 years ago and was arranged by Dr. Madan Kataria, founder of Laughter Yoga. Laughter Yoga says: Laughter is a positive and powerful emotion that has all the ingredients required for individuals to change themselves and to change the world in a peaceful and positive way. Our mission to bring good health joy and world peace through laughter. On this day the laughter club members and their friends and families get together in important squares public parks to laugh together and pray for world peace. How Can We Bring World Peace Through Laughter? Laughter is a universal language we all speak without any language barrier. Laughter Clubs are a powerful tool to connect people from different cultures and countries and provide social network of people who care for each other. By setting up laughter clubs all over the world we are creating a worldwide community of like-minded people who believe virtues like unconditional love and laughter generosity & forgiveness. Formula is very simple -When you laugh; you change and when you change the world changes around you. 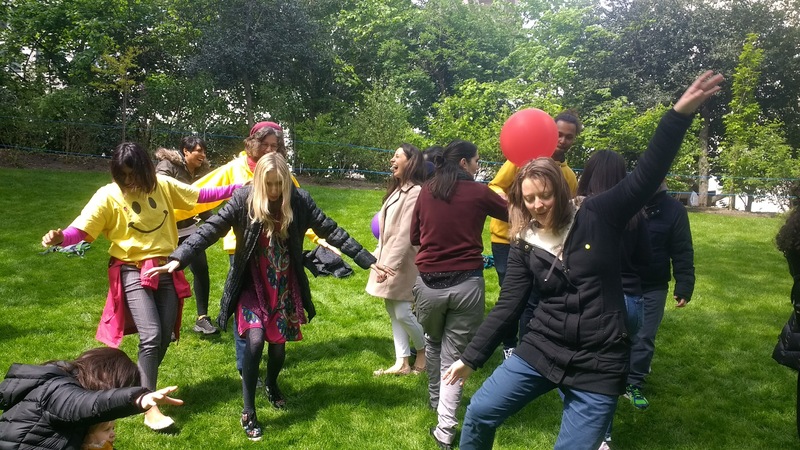 Wow what a gorgeous day we had for World Laughter Day in London on 1st May 2016. 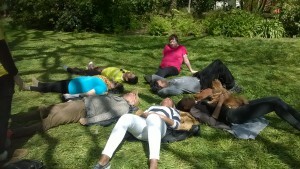 We were met by a fabulous group including two Laughter Yogis and Oscar the delightful little dog. It was unbelievable to be totally blessed with Glorious Sunshine which seemed to appear from nowhere, such a beautiful day. 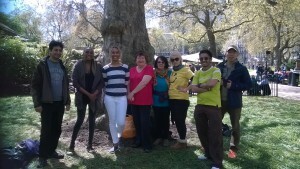 We crawled just a few minutes walk away to enjoy the sunshine and laughter in a local park at Embankment. The flowers were out in abundance, just perfect. I must say this is as far as we crawled and this turned out to be perfect to enjoy a few hours! of laughter, fun and games in the sunshine. Just a few snapshots and a short video clip of our day, a day to celebrate Laughter Yoga, Love, Peace and Happiness. Love Peace and Happiness exercise created just for World Laughter Day by Suz. We have a fabulous day of spontaneous laughter along with some laughter yoga exercises. We will start the day off at Trafalgar Square and then head off as a group, hopefully picking up more people to join us along the way for more laughs around London.